The face painting is not part of the standard product. A brass statue of Lama Tsongkhapa with oxidised finish, exquisitely carved with full iconographic detail according to the scriptures. A perfect addition to any altar or shrine. 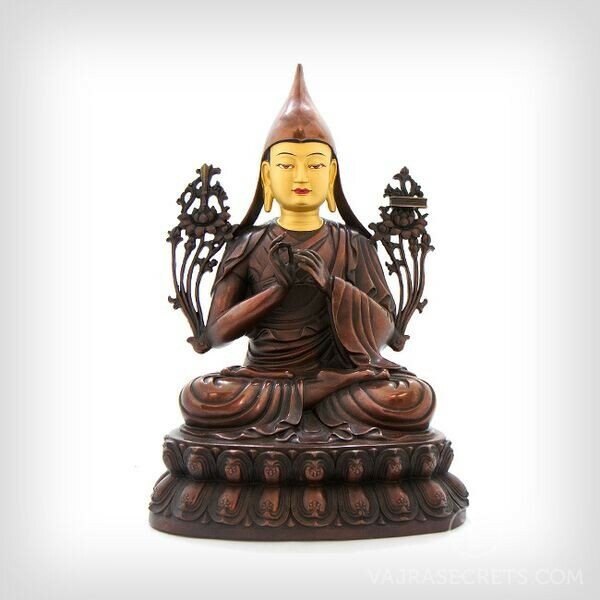 Thanks for the wonderful Je Tsongkhapa. We are very blessed and the face is amazing! I keep catching him smile. The craftsmanship is great. Thanks also for the great service.